Travino Square won the People’s Choice Award for favourite project of the year and two Gold Awards in the categories of Innovation and Best Condo Development of the Year. Mike Geric Construction was also honoured to win the Green Builder of the Year Award for Large Volume development. “I’m so proud that the Mike Geric Construction team has received these awards! It’s an honour to have our focus on innovation and sustainable design recognized,” – Edward Geric, President, Mike Geric Construction. Travino Square’s innovative soundproofing, energy efficient VRF heating and cooling system, solar panels and smart land use were singled out as some of the main factors for Mike Geric Construction taking home the three Gold Awards. 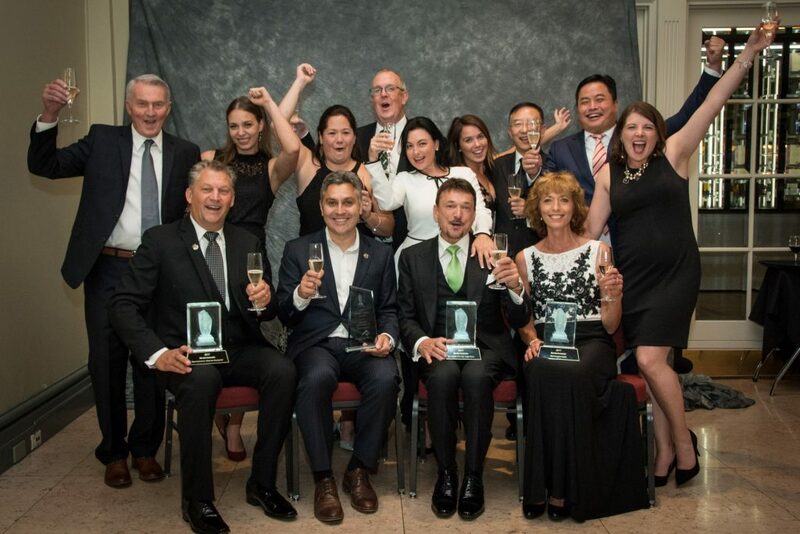 In total, more than 50 awards were presented at the 26th annual event attended by almost 300 builders, renovators, designers, trades, suppliers – members of the Victoria Residential Builders Association www.vrba.ca. The Lifetime Achievement Award was presented to Gordon Denford, founder of Berwick Retirement Communities and Denford Construction Management Ltd for industry vision and success developing outstanding retirement communities. “The CARE Awards highlight Canada’s finest West Coast homes and the skilled people behind them,” – Casey Edge, Executive Director, Victoria Residential Builders Association. Photos of the 2017 CARE Awards winners and finalists are posted at www.careawards.ca.